Mobility. There were 9,430 traffic accidents in the city in 2017, causing 12 deaths and 241 serious injuries. Private motor vehicles accounted for 89% of the vehicles involved. A city where people get around on public transport cuts the risk of accidents. There were 9,430 traffic accidents in the city in 2017, resulting in 12 deaths (5 pedestrians and 7 motorcyclists) and 241 serious injuries. 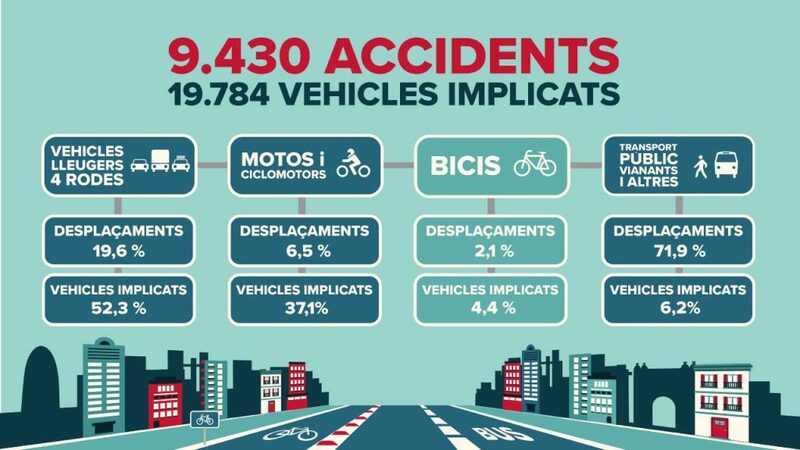 Cars, vans, motorcycles and mopeds accounted for 89% of the 19,784 vehicles involved. 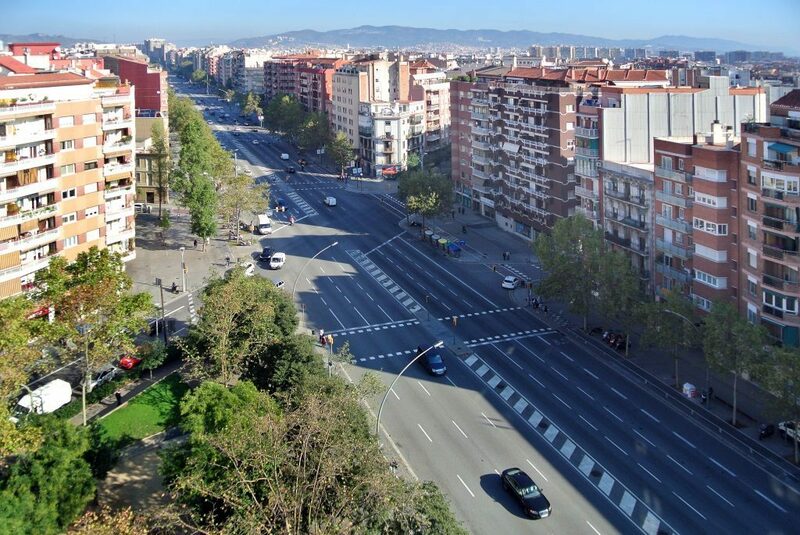 A city with more street calming, where people get around on foot or by public transport, cuts the risk of accidents and represents a move towards the only acceptable objective: not a single victim. Accident rates for 2017 remain relatively unchanged, with 9,430 traffic accidents investigated by the city police. That’s an increase of just over 1 % compared to the previous year, according to the accident figures for 2017. 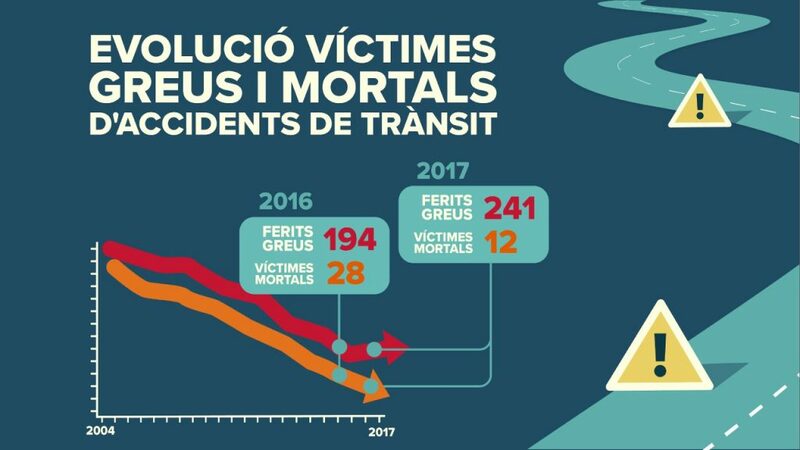 In terms of victims, the number of deaths has been cut from 28 to 12 (5 pedestrians and 7 motorcyclists), the lowest number since 1990, while the number of people seriously injured rose from 194 to 241 (144 drivers, 67 pedestrians and 30 passengers), some 24% more than in 2016. Out of the vehicles involved in accidents, 52% were cars or vans, 37% were motorcycles or mopeds and 4% were bicycles. While public transport, getting around on foot and alternative means of transport account for 71% of mobility, only 6% of accidents involved these means. “Substantial mobility using private motor vehicles and at high speeds, besides producing pollution, also produces high accident rates. 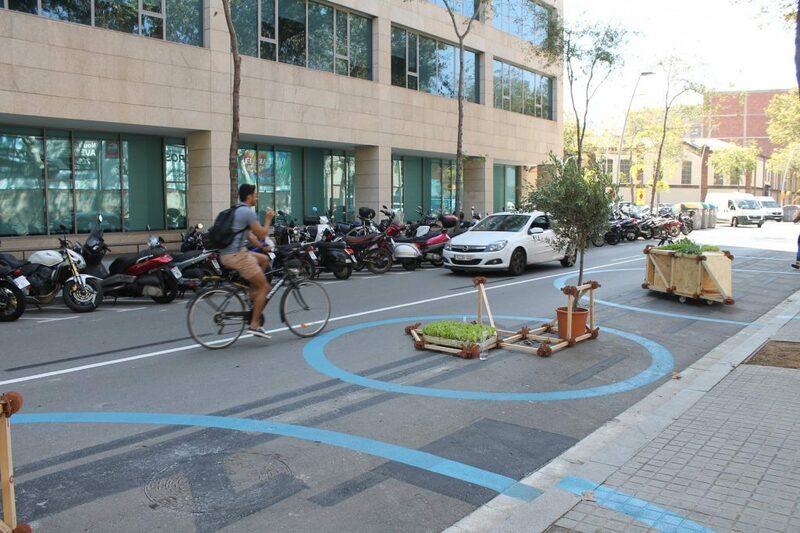 We need a city with traffic calming, where getting around involves public transport, walking and cycling to move towards the only acceptable aim: zero victims”, noted the Councillor for Mobility, Mercedes Vidal. 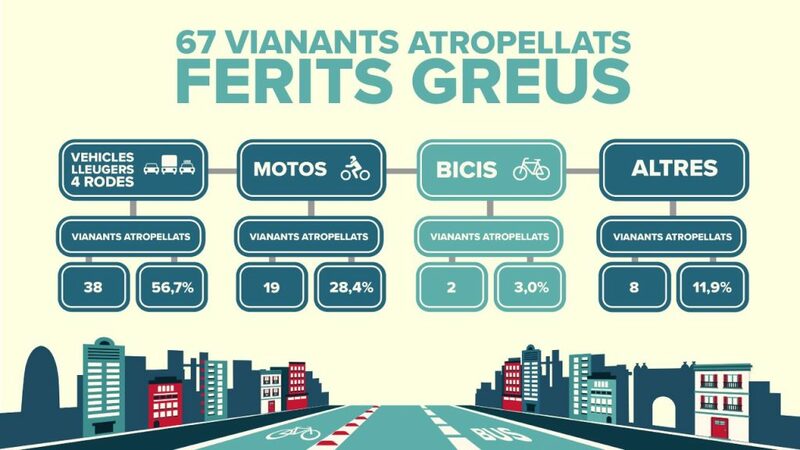 Some 65% of accidents occur in the districts of L’Eixample, Sant Martí, Sants-Montjuïc and Sarrià – Sant Gervasi. In 2018, work will be done in 71 zones where accidents occur, with measures being implemented to reduce risks. In 2017 there was a slight rise in the number of accidents linked to a lack of concentration or alcohol consumption. These are still the main causes of accidents. In terms of the main causes of accidents caused by drivers, apart from a lack of concentration, the most common were not obeying traffic lights and pedestrian crossings, and incorrect turns. The main causes of accidents caused by pedestrians were crossing the road while lights were red or doing so away from pedestrian crossings. Indirect causes which contribute to accidents include road surfaces in poor condition and excess speed, although these account for far less accidents than the main cause, which is drink-driving. Moving towards a city with no victims from traffic accidents involves promoting the use of public transport, safer urban design and greater public awareness. Measures being implemented include greater priority for pedestrians in streets and public places, motor vehicles travelling at slower speeds, the roll-out of the new bus network and bicycle network, investing in the metro system and improving pedestrian crossing, signage and traffic lights. Road safety campaigns are also being run, as are road safety training sessions for elderly people, schools and businesses.